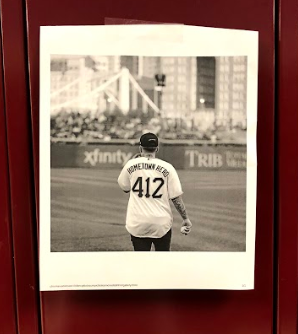 The picture above shows a picture of Mac Miller posted on Junior Emma Rind’s locker. In the picture, Mac is on his way to throw the first pitch at a Pirates baseball game. Mac Miller, a well-known rapper with Pittsburgh roots, was reported dead on September 7th, 2018 after an apparent drug overdose. His death affected some students and faculty at Avonworth, especially rap fans. Mac had an upcoming tour for his new album, “Swimming”, and had a set date for Pittsburgh. Freshman Sasha Kosko’s sister was planning on attending the concert on November 24th: “My sister was going to go to this concert, but he sadly passed away. My sister is really upset.” Many fans, like Sasha’s sister, were heartbroken over the death of Mac and a missed opportunity to see one of their favorite artists in person. Although there were people who were greatly affected by his death, there were also people who were not as affected by it. “I did not really listen to him and I think he’s overrated” said Junior Jax Miller. Mac Miller is most known for his hit songs “Donald Trump,” “Self Care,” “Senior Skip Day,” and most recently, his new album “Swimming.” The album started at number 3 on the Billboard Hot 100 chart, but later fell to number 71. Shortly after Mac’s death, it rose back up to the number 6 spot. Mac was also a big fan of Pittsburgh sports, most specifically the Pittsburgh Steelers. He was seen at many Steelers, Pirates, and Penguins games. 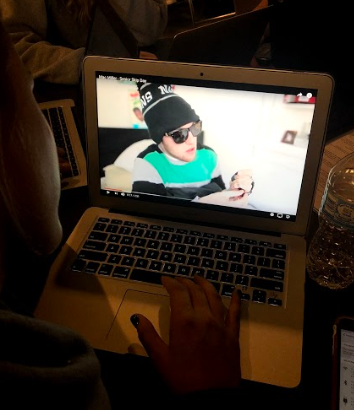 Mac went to Taylor Allderdice High School in Squirrel Hill and his very first album, “Blue Slide Park” was named after a part of Frick Park in Pittsburgh that he grew up going to. A memorial for Mac was held at the blue slide on September 11th. Many fans gathered around to silently mourn the tragic loss, and flowers and candles were left at the site. Mac Miller is said to be a Pittsburgh “legend” and means a lot to not only the people of Pittsburgh, but also his fans all around the world.